In the Spanish chandeliers catalogue of Lumistar you will find our whole lighting fixtures production. 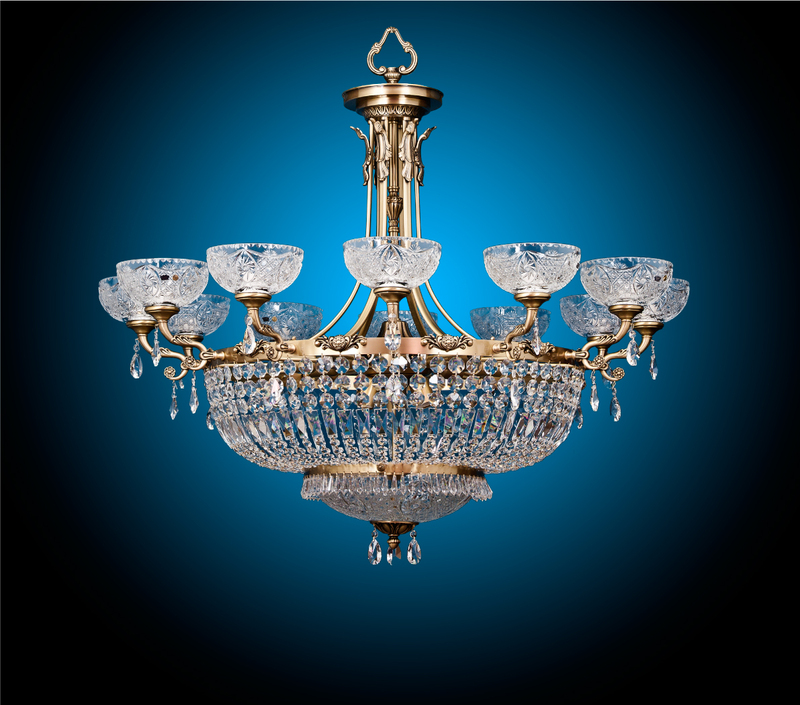 We are manufacturers of chandeliers in traditional styles and other lighting fixtures. Our Company is located in Valencia, Spain, whole production is made in Spain. Our products includes crystal chandeliers, wall Sconces, pendants, flush and semi-flush fixtures. We manufacture custom chandeliers for hotels, restaurants or private homes. Our chandeliers are made with bronze, brass and the best Bohemia crystal, made by craftsmen who use techniques that have been handed down from generation to generation. This is a chandelier that we created in exclusive for a contract project. Glass shades are Bohemian crystal blown and hand cut, frame is bronze and brass decorated in English bronze.